EXCLUSIVE! 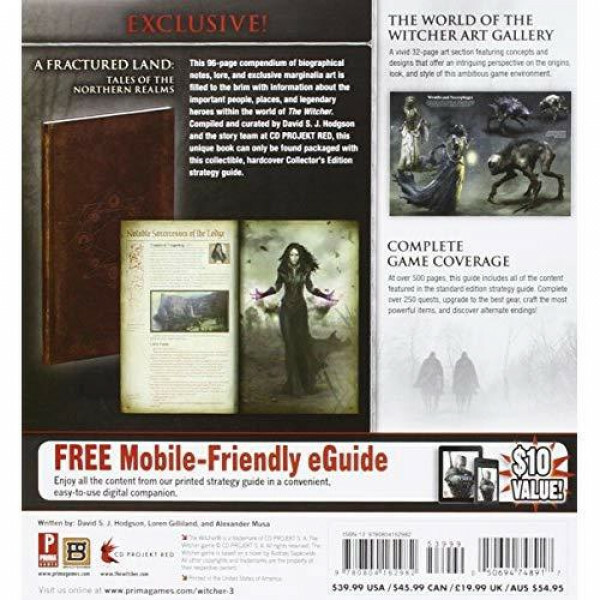 A Fractured Land: Tales of the Northern Realms - This 96-page compendium of biographical notes, lore, and exclusive marginalia art is filled to the brim with information about the important people, places, and legendary heroes within the world of The Witcher. 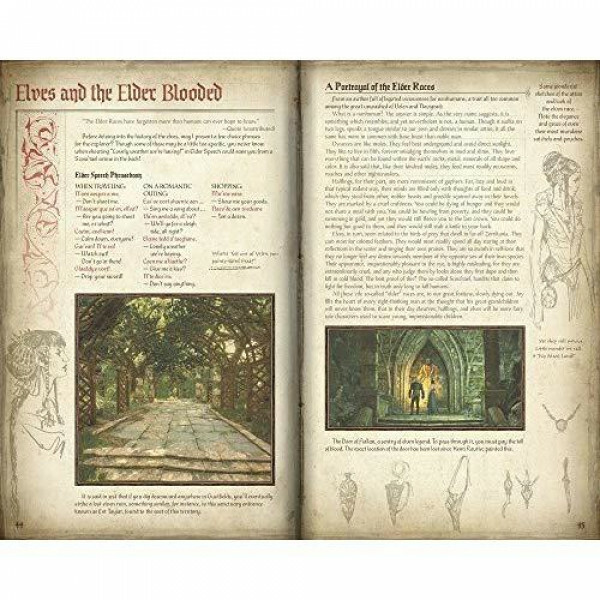 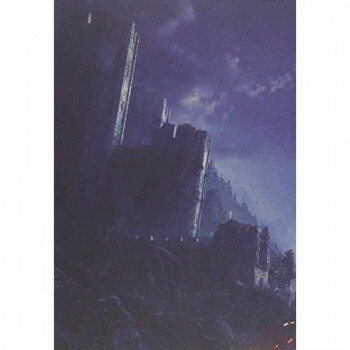 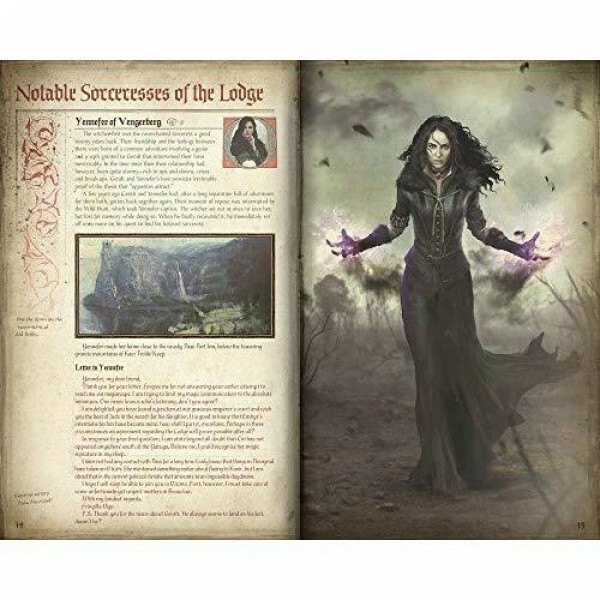 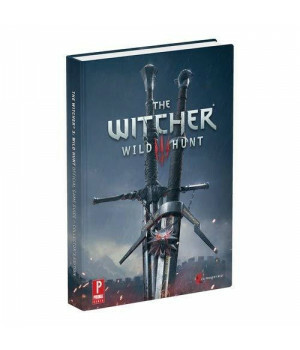 Compiled and curated by David S. J. Hodgson and the story team at CD PROJEKT RED, this unique book can only be found packaged with this collectible, hardcover Collector’s Edition strategy guide. 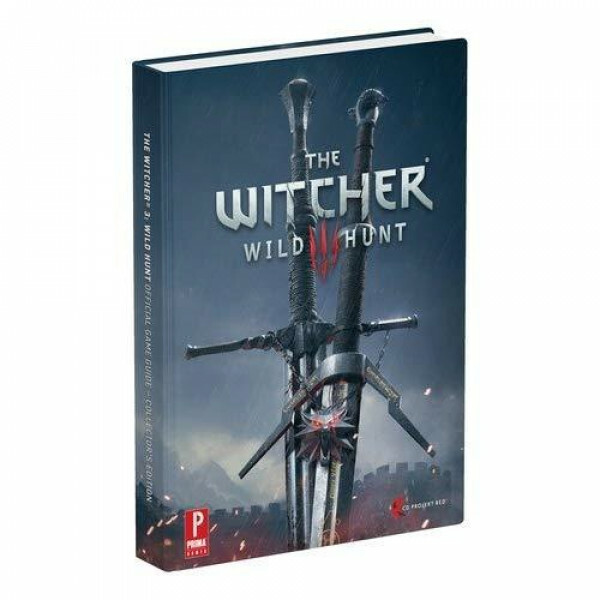 The World of the Witcher Art Gallery - A vivid 32-page art section featuring concepts and designs that offer an intriguing perspective on the origins,look, and style of this ambitious game environment. 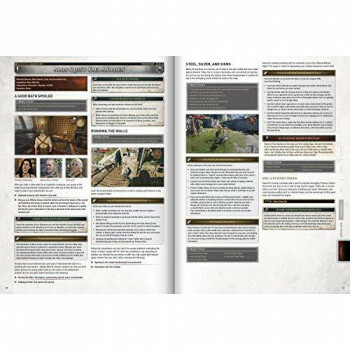 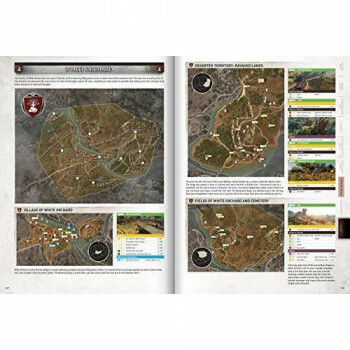 Complete Game Coverage - At over 500 pages, this guide includes all of the content featured in the standard edition strategy guide. Complete over 250 quests, upgrade to the best gear, craft the most powerful items, and discover alternate endings!